First trained as a nuclear physicist by the United States military, Hideo Kunihiro has found his life’s work — literally — as a Christian missionary in Brazil. For six decades, the now 86-year-old Kunihiro has served as a life mentor to the men, women and children of Japanese ancestry in Brazil, many of whom face drug addiction, mental disorders and familial problems. Japanese immigrants first arrived in Brazil in 1908 upon the end of feudalism in Japan, which left many in poverty. Since then, Brazil has been home to the largest population of Japanese outside Japan, estimated at about 1.5 million people. 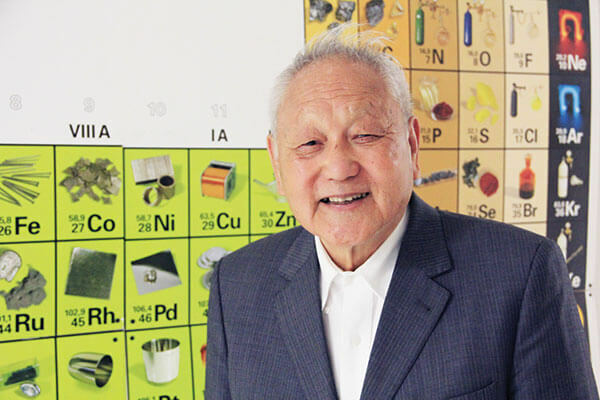 Kunihiro, a San Antonio native and South San Antonio High School graduate, earned degrees in Chemistry and Zoology at St. Mary’s University in 1954. “It was a small university, and I enjoyed being able to know everyone in college,” Kunihiro said. Among his classmates was Giovanni Fazio, Ph.D. (B.A./B.S. ’54), a world-renowned astrophysicist. A year before graduating from St. Mary’s, Kunihiro said he received a calling from God that planted the seeds of his later missionary work. The Marianist brothers, including Brother William J. Hamm, S.M., and the Rev. Louis J. Blume, S.M., “treated me like family,” he said. His spiritual bond with them was so strong that some of the brothers summoned Kunihiro in the days before their death. After graduation, he joined the U.S. Army as a first lieutenant. The Army sent him to Oklahoma for basic training and selected him to specialize in nuclear physics research. He said he then spent a couple of years in White Sands, New Mexico, home of the first atomic bomb test. In the 1950s, Kunihiro said that military personnel were under suspicion of leaking atomic knowledge to the Russians, so much of his time in the Army was strained. When he was honorably discharged, Kunihiro took up God’s calling by traveling to Tokyo to learn the Japanese language. He said he taught at the University of Tokyo for a year before arriving in Brazil in 1958. He briefly returned to the U.S. in 1959 to marry, then went back to Brazil with his wife, where they settled. Kunihiro now lives with his daughter, Ruth Hirata, who is also a missionary. “We have to have a divine intervention in our lives,” said Kunihiro, who continues his spiritual journey offering aid to Brazilians.